Can I mark a Line Item as Declined Work? 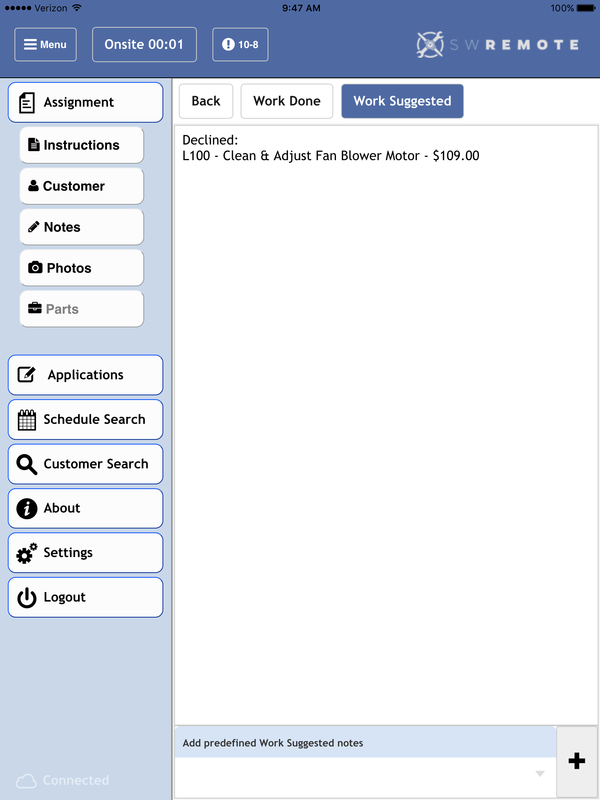 Yes you can as long as the item is added to your invoice first. 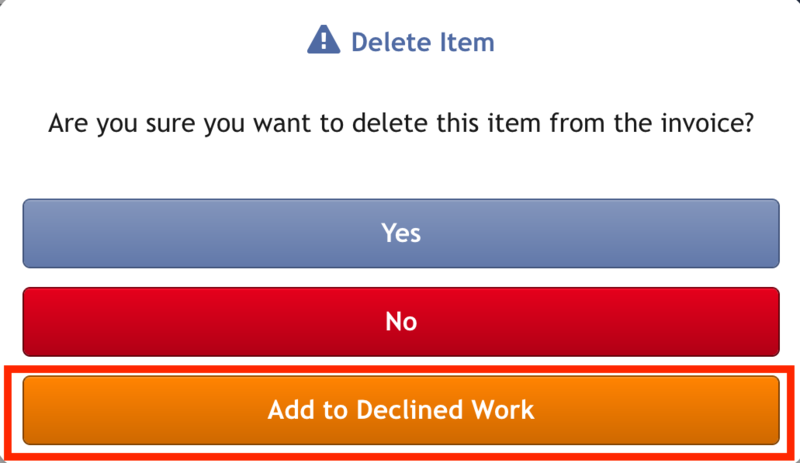 Press the "X" icon on the task you wish to delete and mark as Declined (see image below). 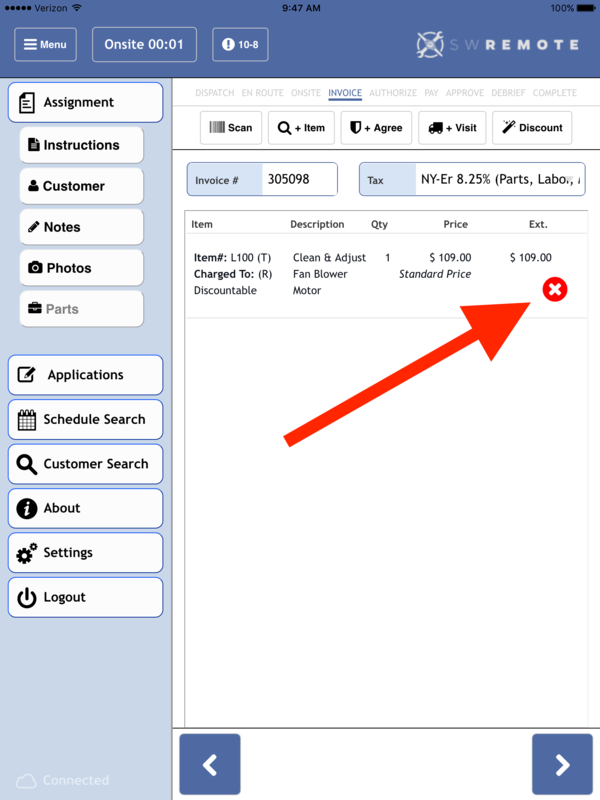 You can also select the Delete Icon from the Edit Invoice Item page.